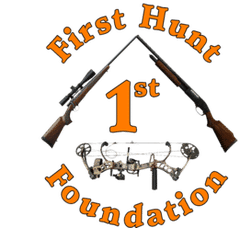 If you are looking for a drop camp setup with access to some of the best hunting areas in New Mexico this hunt is for you! Rifle and Muzzleloader season are from October 1st through December 31st. Your hunt will last for five days. They have several different types of hunts. You have the ability to hunt on National Forest, and private land. They also offer a wilderness drop camp setup. On this New Mexico elk hunt there are several options on where to hunt to get your monster New Mexico bull. This outfitter offers hunts on public National Forest Ground or private land. If you want a true wild, free ranging monster elk this crew can make it happen! There is little to no elk hunting pressure in this area, because they limit the number of tags. They also offer an in town option where you will leave from town to the hunting area each day. If you are unable to draw a tag there are always landowner tags available. The archery elk hunts in New Mexico take place during the last few weeks of September, and the rifle hunts are scheduled during the first few weeks of October. This is an excellent time to hunt elk while they are still bugling in the rut and post rut, providing our customers with the best opportunity at harvesting a big mature bull. *Later season elk hunts are available upon elk tag availability, and cow hunts are available in January (3 day hunts). They will provide a place for you to stay and three meals a day with other snacks and drinks. If you choose the wall tent setup you will be provided with a comfortable cot, lantern, and heater. They make sure you are taken care of. However if you choose to go the other route and stay in town. Your meals may be a little different in that you will have lunch out on the trail and dinner at a local restaurant. The outfitter will bring you from Albuquerque to the area you are hunting and back to Albuquerque at the end of the hunt.